The first time and only time I saw Green Day live was in 1991 during their first European tour in front of 20 people at AJZ Stinkdrüse. The band was on Lookout Records at the time, which is what enticed me to visit, had released a charming yet mediocre in the vein of Californian pop-punk album and there was neither a major label nor mainstream success looming on the horizon. 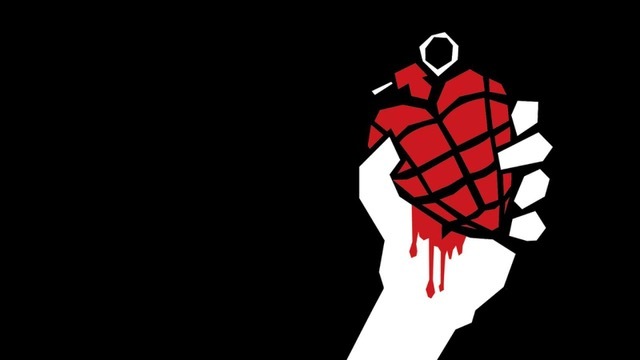 Fast forward 27 years and mentioning that I am going to see their musical American Idiot is a conversation topic with my mother, as she is familiar with their album from 2004 and the fact that it was adapted for the stage as a musical on Broadway. Thematically American Idiocy is a timeless topic that can easily be transition from the Bush era, where it originated, to the status quo with Trump at the helm of operations in the new world. Emphasis is heavily on the music with the conceptual storyline not really delving much deeper than being situational, illustrating and acting out the tropes of the songs, i.e. disenchantment, dissatisfaction with the state of affairs, the entrapments of the establishment, addictions and the downward spiral that comes with it. This does not mean that the musical is not an engaging and enjoyable affair, which is mainly to the excellent cast’s choreography and vocal and dance performances, backed by a tight live band. A loud and powerful affair that gets the audience out of their chairs and does not pretend to be more than it sets out to be – light on plot and more of a tour de force that does not reinvent the wheel but celebrates the energy of rock’n roll, the rest- and aimlessness of the generation in question and the foils and spoils that come with the territory. Adding credibility and extra flavour is the fact that one constituent, i.e. the drug dealer St. Jimmy, has become a placeholder role for which local scene relevant musicians are invited to perform. Past incarnations have seen Billie Joe Armstrong himself as well as Melissa Etheridge and Davey Havok of AFI fame play the role. Tonight saw Grinspoon’s Phil Jamieson fill the role much to the delight of the enthused audience, which frenetically welcomed each scene he had a part in. American Idiot is pretty thin when it comes to a coherent narrative but delivers in spades when it comes to providing a snapshot of disillusionment and is an immensely satisfying and fun affair if you are into Green Day’s 21 Century Breakdown and the album that gave the musical its name.